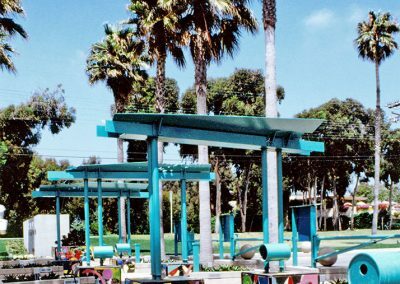 Gruen Associates provided a new entry for the public beach, blending the historical and environmental aspects of the beach experience into a dynamic architectural composition. 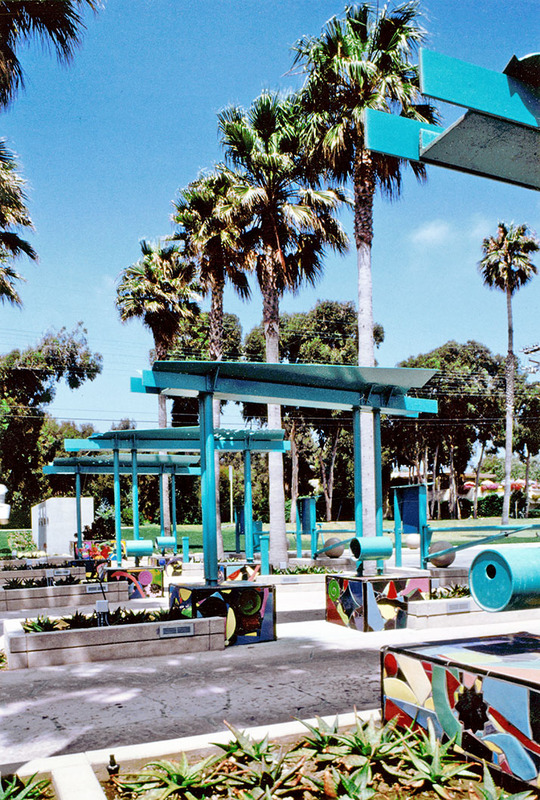 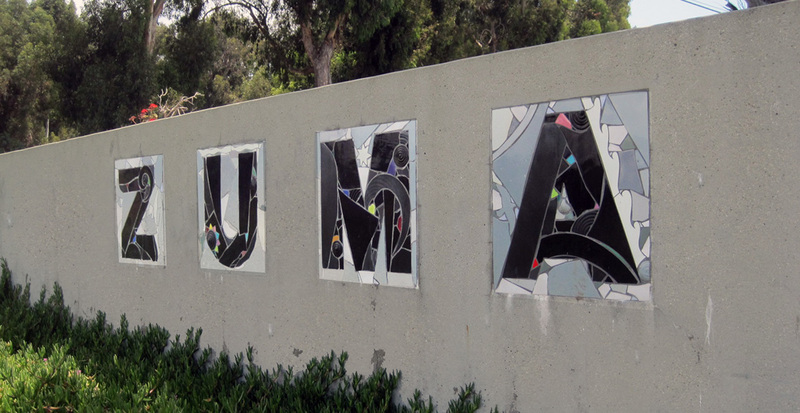 The project included custom-made ceramic tile fragments portraying the fury of the sea wall as well as pay station canopies that provided striking light and shadow play as vehicles enter, each a unique composition in bold colors. 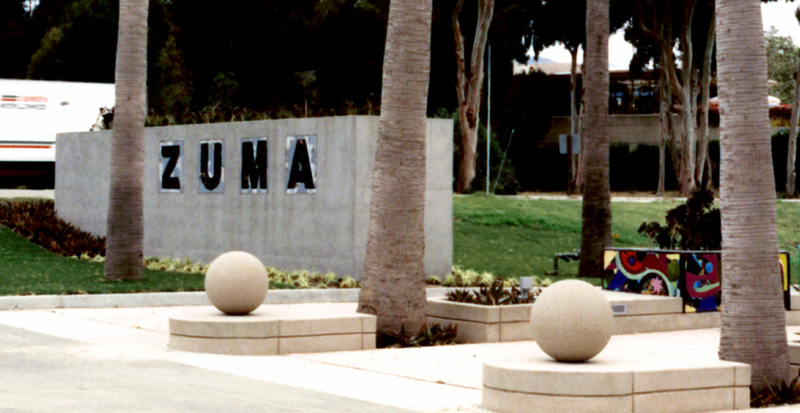 A grid of palm trees and coastal zone, drought-tolerant plantings surround the new gateway.